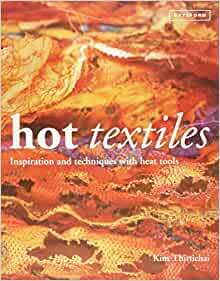 Textile artists will find this unique guide a superbly practical and inspirational introduction to a truly “hot” topic! With detailed instructions, beautiful photography, and health and safety advice, Hot Textiles explores how such equipment as soldering irons, heat guns, and even household irons can add astonishing levels of texture and variety to all types of fabrics. Renowned textile artist and teacher Kim Thittichai covers a stunning selection of techniques: hot and cold foiling, painted and plain Bondaweb (fusible webbing), bead making from synthetics, three-dimensional work, embossing powders, and so much more. With ideas for melting and distorting plastic bags and cellophane and for using a combination of tools and fabrics to create layers, this is an important book that every textile artist will want. Kim Thittichai is a major textile artist whose popular four-year course has a two-year waiting list. She regularly travels to the International Craft and Hobby Fairs (ICHF) and has an international presence. Kim lives in Brighton, UK. I bought both of the books in this series and I'm really not sure what to say about them. When I read creative books, great ones anyway, I get so much inspiration, so many ideas, that I can barely get through a few pages before wanting to put the book down and go try a new technique. That just didn't happen here. I didn't feel that urge to put the books down and get up and go play. But that doesn't mean I didn't like the books either, as I did. I guess I'm looking at them as interesting and gorgeous books/art/etc., but as yet haven't figured out how to incorporate it into my art. The art and techniques in the books is 100% for fine craft wall hangings and vessels. There is nothing crafty, quilty, rubber stamped, etc. in them. I don't make wall hangings or vessels, so I suspect that that's why I didn't have the urge to drop the book and go play. This is really a great book if you want to start distorting fabrics with heat. Kim has written a very complete book for the novice or professional. Soooo glad I purchased this book. When you do also visit the website of Lillypilly Designs for some awesome metals, slate, cork, wood and ultra suede to use with the lessons. They are an awesome business and they've used this book as well. Contrary to the previous reviewer who didn't think Kim Thittichai (Hot Textiles) did a good job on addressing the safety issues...I beg to differ. I'm only on page 27 and so far Ms. Thittichai addresses the safety issue on page(s) 7 (2 paragraphs); pg 10, entire page; pg 12, 1 paragraph; pg. 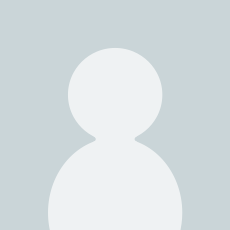 15, 1 paragraph; pg. 17, warning; pg 24, entire page. I think this is an excellent book which leads the artist into using different mediums and how to safely use each of them. I'd highly recommend this book to someone who has used some of the products as well as someone who is new to working in this textile environment. This is one of the few books I have bought that I read cover to cover. I can't wait to get started on everything! There are not step by step directions but there are good descriptions of what to do to achieve each effect. It might not be the book for a beginner. The pictures are wonderful. 4.0 out of 5 starsLike the author's work. Enjoying the book. What I hoped it would be. I wanted my own copy for reference. Very informative. After just paging through the hard covered book it appears that there are lots of new ideas to play with. I'm looking forward to trying many of the suggested techniques.